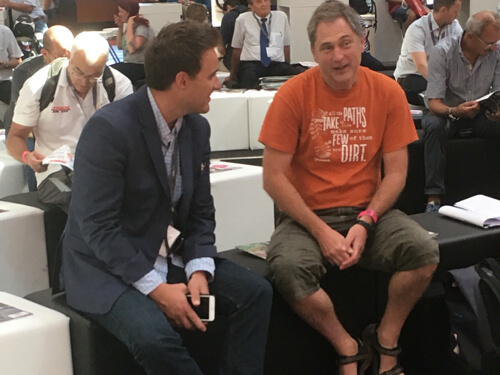 Aaron Hautala, president of the Cuyuna Lakes Mountain Bike Crew (Crew), a chapter of the International Mountain Bicycling Association (IMBA), recently presented at the 25th annual EUROBIKE international bicycling tradeshow in Friedrichshafen, Germany. 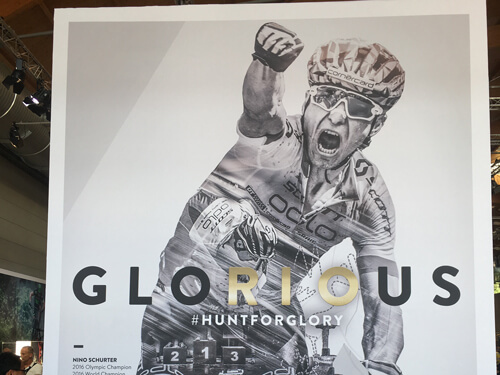 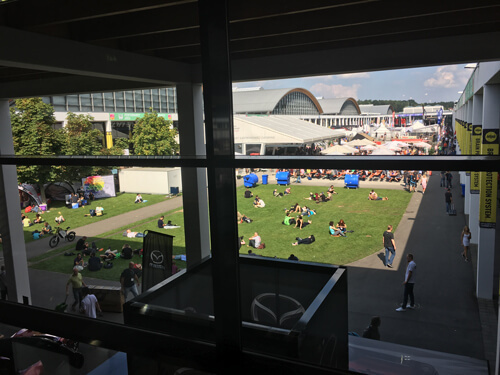 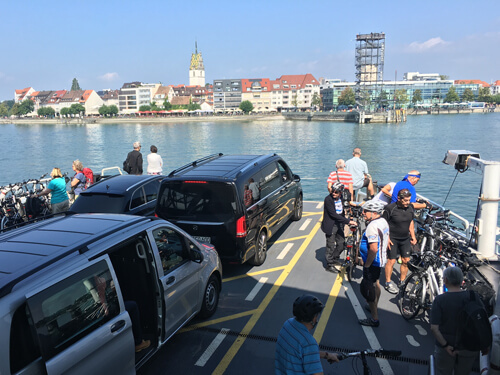 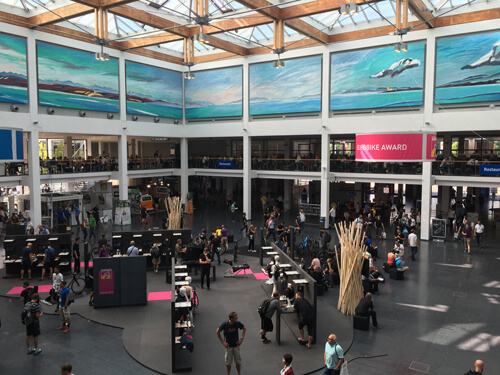 Touted as the “global summit meeting of the bike industry,” the five-day EUROBIKE summit attracted 42,720 bicycling industry enthusiasts from 106 countries, 1,350 exhibitors from more than 50 countries, and 1,766 journalists from 41 countries. 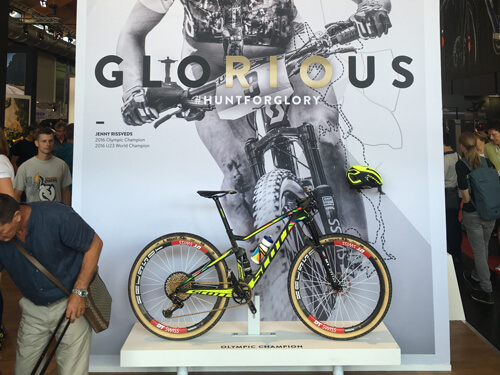 An additional 34,400 bike fans participated in the festival days that capped the event. 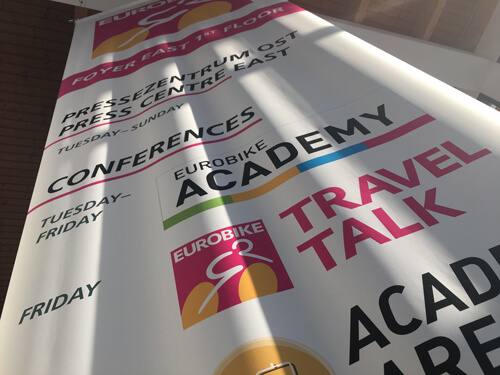 Hautala presented a Travel Talk segment, “Mountain Bicycling in Cuyuna: How Americans Successfully Handle Obstacles.” The Travel Talk sessions covered aspects of bicycle tourism’s trends and opportunities, with speakers and bike-insiders providing insights into the current bicycling industry. 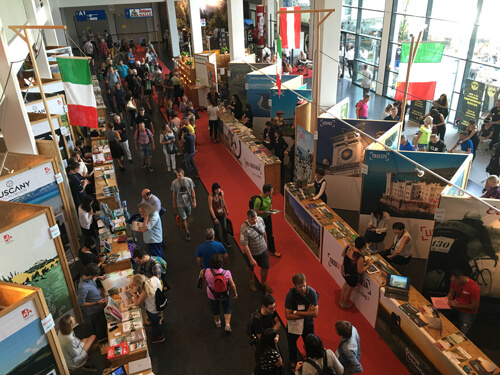 Hautala also participated in a panel discussion with bicycling representatives from Morocco, Italy, and Switzerland. 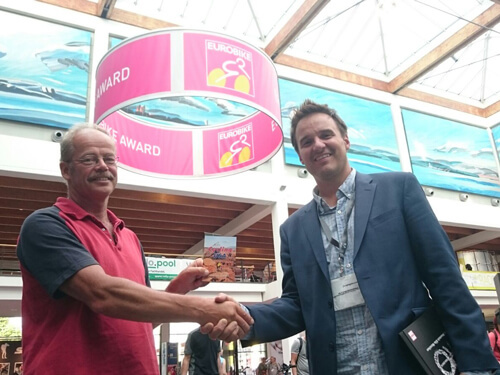 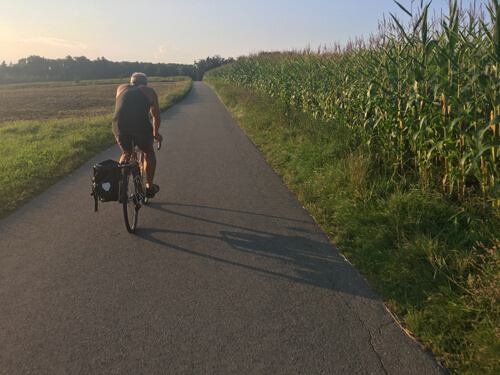 Theo Jorna, owner of Holcus Buiten BV / Hicle—a company that puts on the largest cycling holiday travel fairs in Europe—had recommended Hautala’s Cuyuna message to the EUROBIKE organizers due to their connections at IMBA. 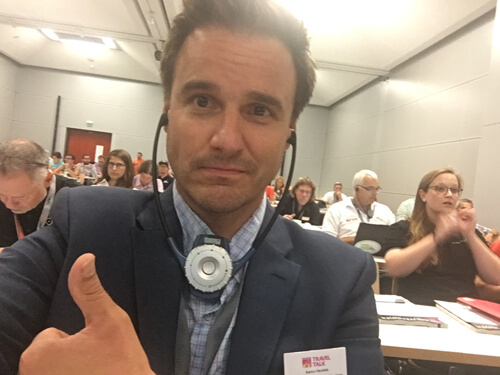 In his talk, Hautala attributed the success of the Cuyuna-area story to the perseverance of members of the communities, to the volunteers within many different organizations, to the MN Department of Natural Resources, and others too numerous to mention. 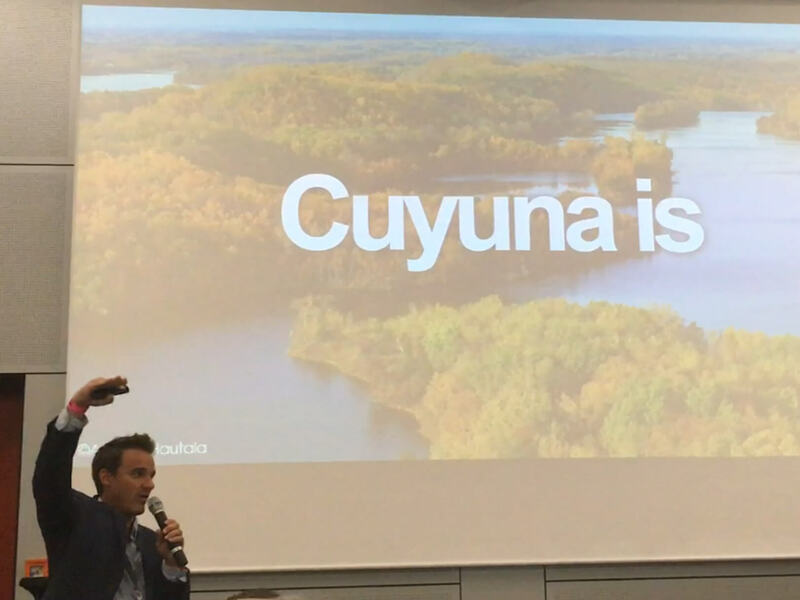 In November, Hautala will bring Cuyuna’s mountain bike tourism story to St. Petersburg, Florida, with a keynote address on Cyclenomics.